I have made some quilt blocks with some of the leftover fabric. Quilt blocks are great because you can fussy cut the fabric and the original design doesn't have to show up unless you want it to. 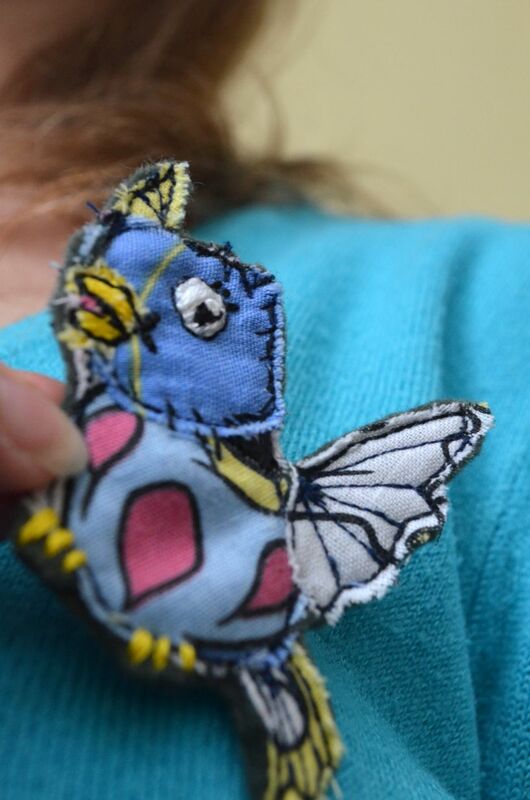 I also wanted to try something a little different though and I came up with the idea of making a bird brooch. It is a mixture of applique using pieces of the leftover fabric together with some hand embroidery for the facial features and feet. Here is a picture of the finished dress. 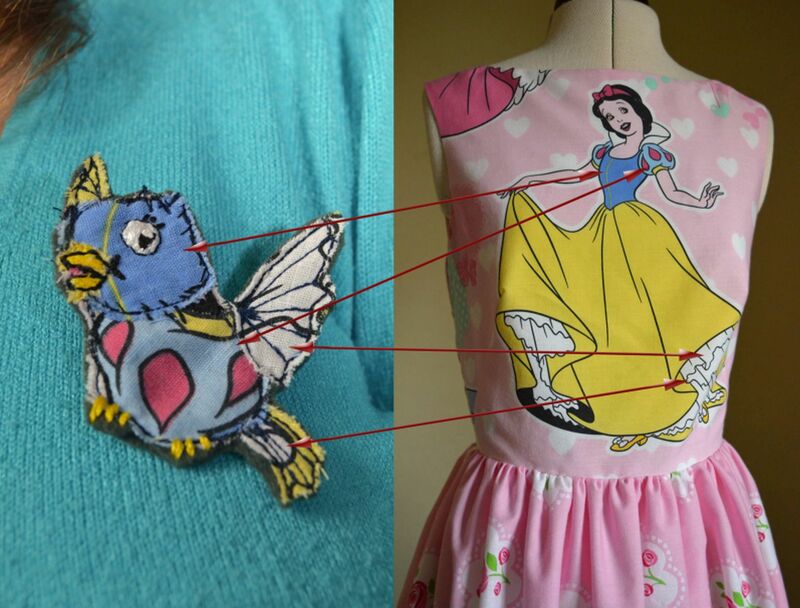 Here you can hopefully see what pieces I used from the duvet pattern for the bird - remember, I didn't cut up the dress to make the brooch! 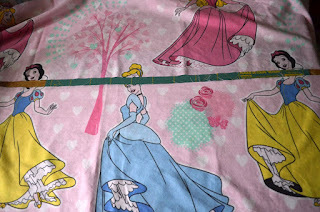 I used the fabric I had leftover after making the dress. It was fun and I definitely ended up with a unique bird brooch! 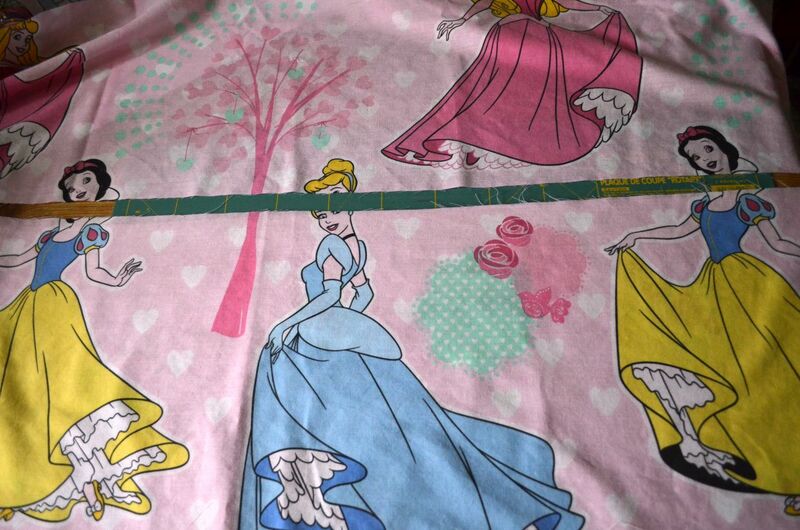 I saw a similar 'princess line up' fabric the other day, and could not stop laughing for thinking of your accidental beheadings. So delighted to see you make lemonade out of lemons! 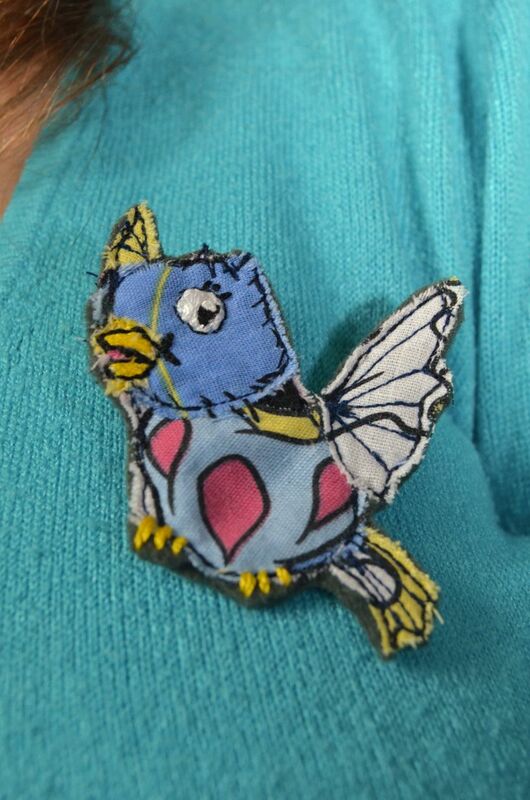 The bird brooch is so cute. And your dress looks amazing.